Looking for a gift to show your love, to a person who loves books? Look no further! 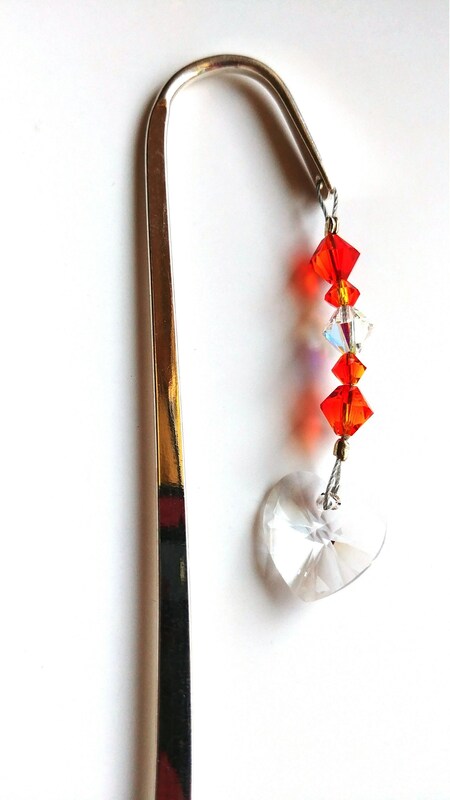 This 5 inch silver plated bookmark is a wonderful keepsake for that person who loves to read! Consider this gift, and you consider something that will remind your loved one of you, each and every day. 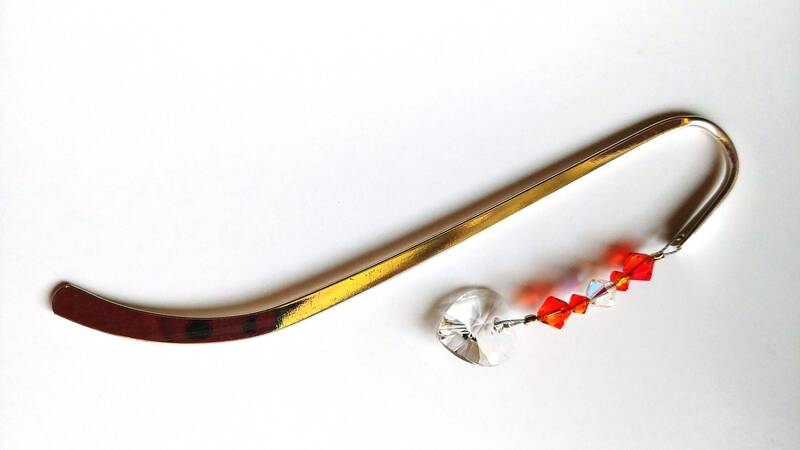 Please note: All beads used in this bookmark are genuine Austrian crystal. 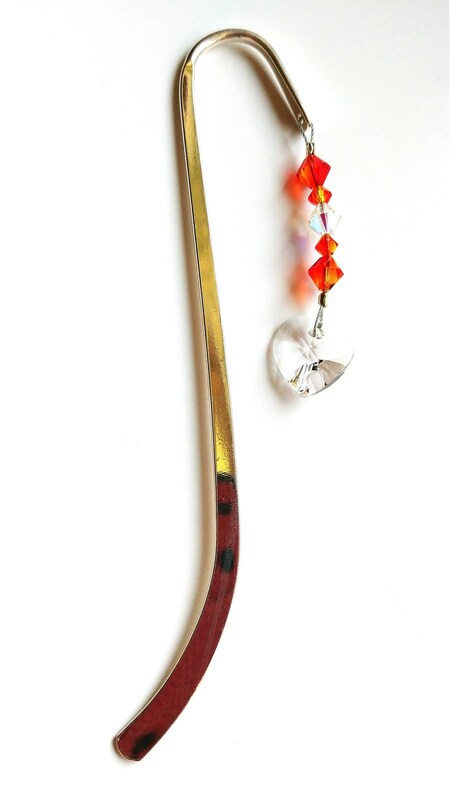 The metal bookmark (as mentioned) is silver plated. The clear crystal heart charm is approximately 14mm.